Based on a venerable Legend of the Sea, the story concerns a pliable prostitute named Bella (Romance) who is all things to all men. No matter what sort of woman her client wants, she will become that woman — at least for the night. When a middle-aged man named Jean (Marcel Dalio) insists that Bella is his long-lost sweetheart, she plays along, hoping to escape her sordid lifestyle. 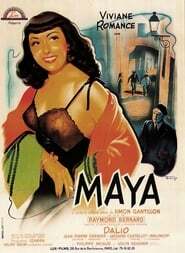 The emotional tragedy that follows is meant to explain how Bella became “Maya,” the living embodiment of Lost Souls.